Low level Laser Hair Therapy Treatment for Hair Loss (LLLT) is a revolutionary, non-invasive breakthrough in the treatment of androgenic alopecia and hair loss for both men and women. FDA cleared laser hair therapy utilizes low level “soft” laser light to stop and prevent the appearance of hair loss and thinning hair and give you the thicker, fuller and healthier looking hair you want. Low level lasers are “soft” lasers, also known as “cold” lasers and utilize a device that contains therapeutic soft low level light lasers which delivers light energy directly to the scalp. Laser Hair Therapy Treatment for Hair Loss was developed in Europe and used initially for improving hair volume and hair shaft quality that helps to prolonging the life of your hair color and improving hair colors and perms. Laser hair therapy has been shown to be an effective hair loss treatment and prevention protocol for both men and women experiencing androgenic alopecia (genetic hereditary baldness and thinning hair). 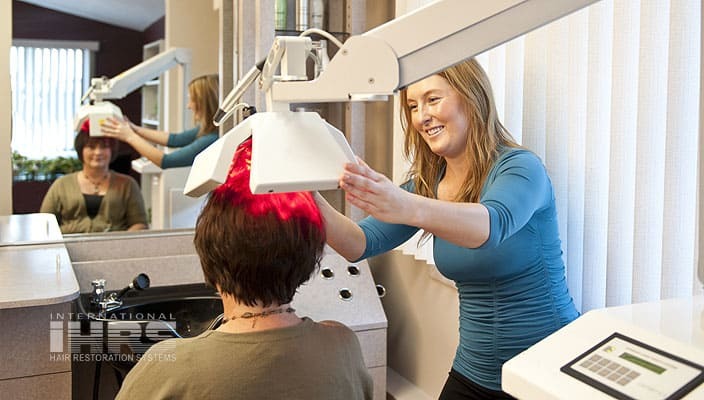 Laser therapy has been shown to increase the blood supply to the scalp by up to 54% after only one treatment. Laser hair therapy works by stimulating hair follicles. For 85% of patients, it stops the progression of hair loss. Achieve the appearance of fuller, shinier hair, healthier looking hair. Laser treatments have shown to greatly help newly transplanted hair by increasing the healing process. Laser therapy can repairs damage caused by chemical services. The laser light is disbursed from different angles to the light energy to produce appropriate dosage. Professor Andre Mester in 1964 started experimenting with low-power laser energy while working in Budapest, Hungary. He found in his experiments that mice with injuries would heal rapidly due to microcirculation of the blood supply. This same sort of healing process was noticed in diabetic patients suffering with dystrophic sores. Since that time the theory has evolved and is much more refined and has become a popular non-invasive treatment for individuals with hair loss. It wasn’t until recently, the use of low level laser had been underutilized in North America. What Exactly is Low Level Laser Light? Low level laser light is the compressed light of a wavelength from the cold or red part of the light spectrum of electromagnetic radiation. Natural light is different in it is one precise color. It travels in a straight line, monochromatic and it concentrates it’s beam of light in a specific location. High power laser can be used to cut through tissue and this type of laser also gives off heat, however; low level lasers don’t give off heat and use photo energy. For many years now the leading hair replacement clinics / salons around the world have used ‘cold-beam’ laser technology to help those that suffer from different hair conditions. We know that Low Level Laser Therapy (LLLT) works by increasing the blood flow around the scalp area and hair follicles. The increased blood flow encourages hair growth and hair volume, this give you more healthier looking hair. Men and women with early stages of hair loss (Norwood 1-3), have found that they can benefit from treatments with low level laser hair therapy. Is Laser Hair Therapy a safe Hair Loss Treatment? Yes. The International safety standards and the legislative specification for ‘non-significant risk” products are met with the specific type of laser used for low level laser therapy (LLLT), and it is classified as a Class IIIA cosmetic laser. The appearance of less hair loss usually occurs after just five or six treatments. 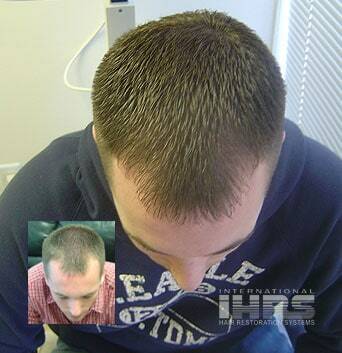 Some clients have indicated that they have also experienced hair growth after just 12-16 treatments. 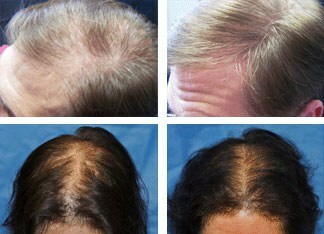 Laser hair therapy has shown to be especially effective for men and women when used with hair loss treatment programs. This might include clinically proven topical hair loss treatment and control products. The staff at IHRS is devoted to delivering and the absolution highest level of care and expertise on your individual hair loss solution, comfort and privacy. We invite you to CONTACT US and discover for yourself how easy it can be to restore your hair and take back your life.